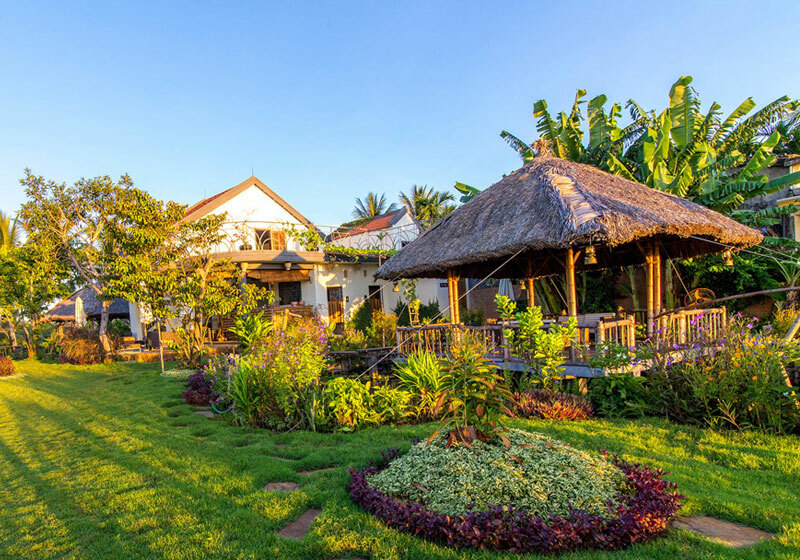 By setting up The Field Restaurant & Bar to create a unique space in Hoi An, close to the nature, where – beside the food – you can enjoy the beautiful view to the rice paddies & the river. To get more insight into Vietnamese culture, you can try several traditional folk games or even catching fish by your own hands in our restaurant. We serve quality Vietnamese and fusion dishes, prepared to order, using fresh ingredients. We offer various set & buffet menus to choose from, and menus can be customized to suit any occasion and taste. The place is perfect for groups, families or couples, suitable for different types of events, like gala dinners, banquets or outdoor barbeque parties. The restaurant has plenty of space: a bamboo house just on the riverside, a main house – overlooking the rice fields – with balcony, bar and lounge area, a bamboo gazebo on the lake, and a huge grass area. Whether you are looking for a quick lunch, a relaxing dinner, or an appetizer and cocktails, our experienced and courteous staff will make your visit a memorable one. Short Description: By setting up The Field Restaurant & Bar to create a unique space in Hoi An, close to the nature, where – beside the food – you can enjoy the beautiful view to the rice paddies & the river.